If you are like me Social Networks has become a daily part of your life. Therefore, it is also a daily part of the lives of Recruiters, HR people and companies Hiring Managers. In fact according to a 2017 CareerBuilder survey, 70 percent of employers use social media to screen candidates before making a hiring decision, and 57 percent of hiring managers are less likely to interview someone they can’t find online. 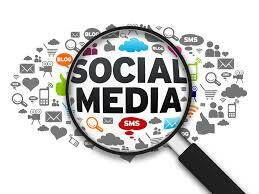 So what can you do to utilize Social Media to find your next job? Let’s look at some of the do’s and don’ts of two of the biggest: Linkedin and Facebook. You could say Linkedin is like attending an online business conference and networking with all your colleagues and Facebook is the internet version of attending a big party with all your friends and their friends and their friends, friends and networking with them. Your Linkedin profile should mirror your resume: If your resume is missing jobs on it that your linkedin profile includes it can seem confusing to employers. Linkedin is a multi-media platform. Where ever you can use it as such. Post you blogs, videos and dress it up. Be professional but be upbeat and dynamic. Get Recommendations from other professionals: Positive statements from people you work for or work with can help you immensely in establishing credibility to people viewing your profile. Connect to as many people as you can. Unless someone is obviously a fake connection connect with them it can only increase your network and ability to reach other possible connections. When connecting to new people don’t just send the generic message send a personalized message. If they are possible employers mention your interest in their company. Use other people’s social media profiles to research them before an interview. Join linkedin groups that are relevant to your job search and companies you want to work for. If your currently employed and not wanting all your connections to know you are potentially looking for new opportunities suddenly completely updating your Linkedin profile and broadcasting it to all your connections may not be the best thing. Utilizing Facebook in your Job Search is all about showing people what you want and not showing them what you don’t want. To start with make sure Facebook is not damaging your image. Be sure to delete or untag yourself from any questionable posts or pictures. Once your page is scrubbed clean, you should ensure you’re only posting appropriate content. Though It is important to use privacy settings for personal information, you need to keep some information public such as your employment information, location and professional skills so you can be searchable to hiring managers. Engage with industry leaders and portray yourself as a thought leader on all social media platforms. To do this this on Facebook is by commenting and contributing to industry-specific Facebook groups. This entry was posted in Job Searching by admin. Bookmark the permalink.